Don Roberto Luciano, boss of the Sicilian Mafia, agrees to be chief witness in the trial of Paul Carolla, who murdered Luciano's firstborn son, Michael, 20 years ago. Despite round-the-clock protection, all the Luciano men are killed the night before a family wedding. The don's wife, Graziella, holds together what's left of the family - daughters-in-law Theresa and Sophia, and Theresa's daughter Rosa - while instructing their lawyer to sell off business holdings. Eventually the women become involved in the business themselves, trying to recover money that's disappeared into Carolla's hands. Following a courtroom shootout, Carolla's adopted son Luka, using his knowledge of organization politics and his mastery of murder, becomes the women's partner and protector. 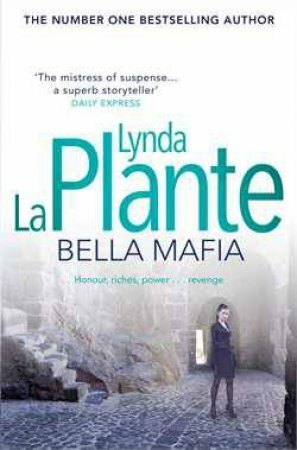 Once the Luciano women discover Luka's secret, however, they implacably take revenge in the ruthless manner of their age-old code, and the strongest of them becomes the new head of the family, the bella mafiosa . . .